A few weeks ago, whilst at the MAD Awards I was lucky enough to be treated to a mini makeover with the fabulous consultants from Arbonne. It had been ages since I’d had my makeup done, in fact I couldn’t remember the last time. I think it was whilst pregnant with Miss R! So about 6 years ago then. Needless to say I thoroughly enjoyed the whole experience and was thrilled when Arbonne asked me if I’d like to try out a few more of their products at home. The Sheer Glow Highlighter (£30) must be the sleekest, softest product I’ve put on my face for a long time. It simply glides on, under or over your makeup to add a subtle prettiness to your complexion. It’s not thick and heavy, and really not that noticeable, but I knew it was there, and thought my skin looked healthier and shinier when I used it. Ideal for adding just a spot to your cheeks and your brow for a special glow, or like me, smother it on and hope it makes more than just a subtle difference! The Posh Lip Polish is just my cup of tea. It was dropped in my handbag from the first day, and I’ve used it everyday since. It’s light, not sticky and very pretty. Oh and it goes with pretty much any type of makeup I use that day. I’m really loving this one, and will be adding a few different shades to my Christmas list. How about Brown Sugar, Raisin or Coral? 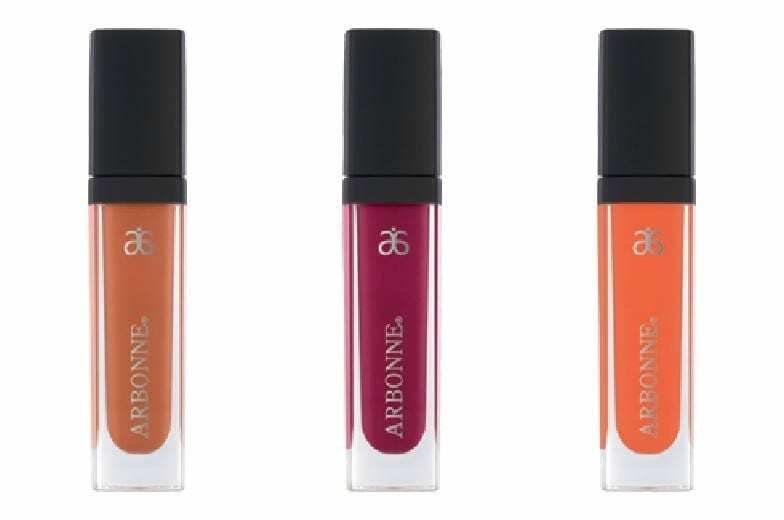 These Arbonne lip polishes retail at £17, a great little makeup treat for your Christmas stocking perhaps. Or a lovely purchase in the run up to all those Christmas parties. Go on, you know you want to. 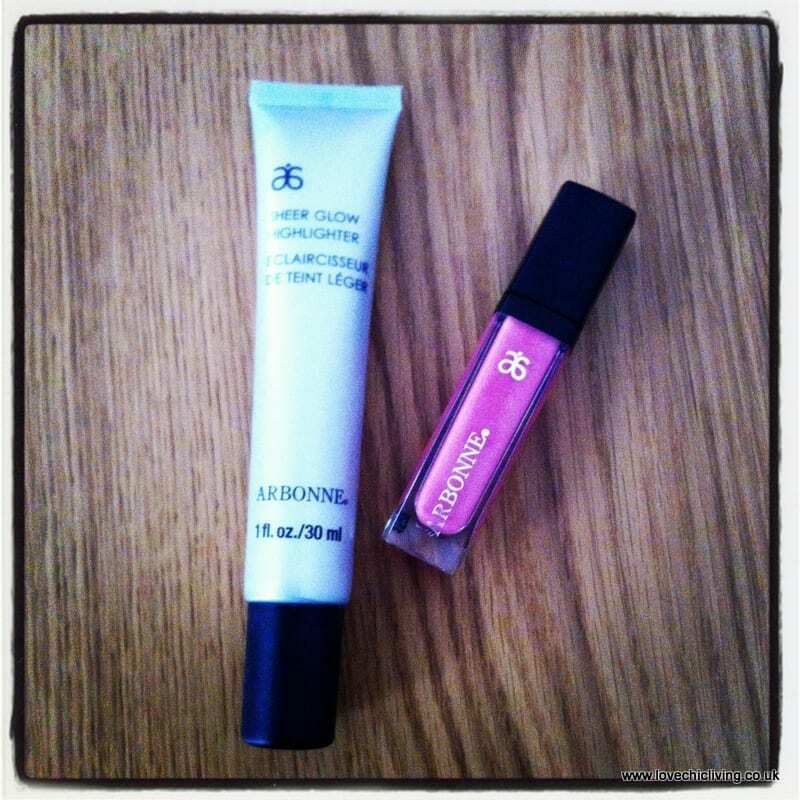 Disclaimer: Arbonne International sent me the makeup to review at home for free. The opinons I’ve expressed are genuine and honest. I’ve also linked this up to ‘Me Time’ linky over on Mums and Me Parenting blog. They look lovely. Today’s spell with a professional make up artist has made me remember how nice it is to feel polished when out and about. Making a mental note to try this range. Oh how lovely to be treated by a professional make up artist. Can’t wait to see the write up! This one is a lovely range to try, I’m converted. I love these, especially Coral. They look like really lovely products. I especially love the idea of a highlighter. I really need to get myself down to a proper makeup counter and update my range of makeup products, it’s the one thing I never invest in – which is silly really because it’s also the one thing I use EVERY. SINGLE. DAY! I just stumbled across this article and I know it’s a bit dated but I was still curious if you’d recommend any particular highlighters for 2016 mentioned in this article? We have a review list of the top 10 we believe are the best for 2016 but maybe you have some valuable feedback for us? Thanks in advance and great post! I am really a fan of raisin! I am in love of that color looks great on my lips.